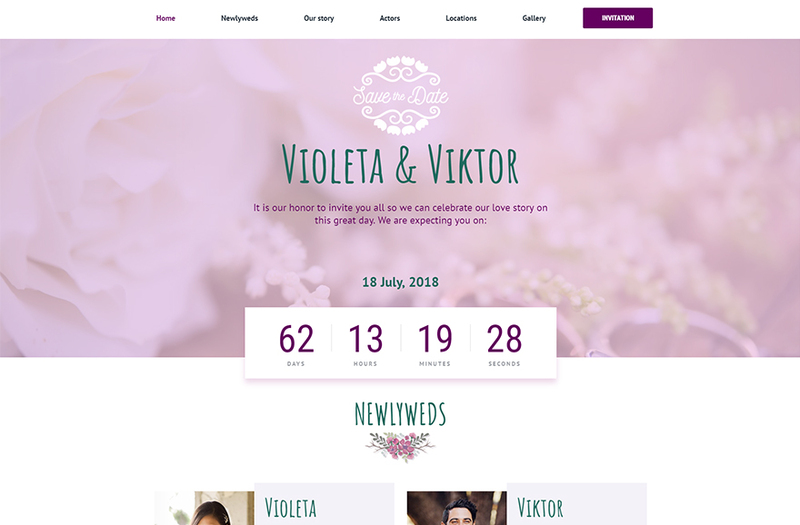 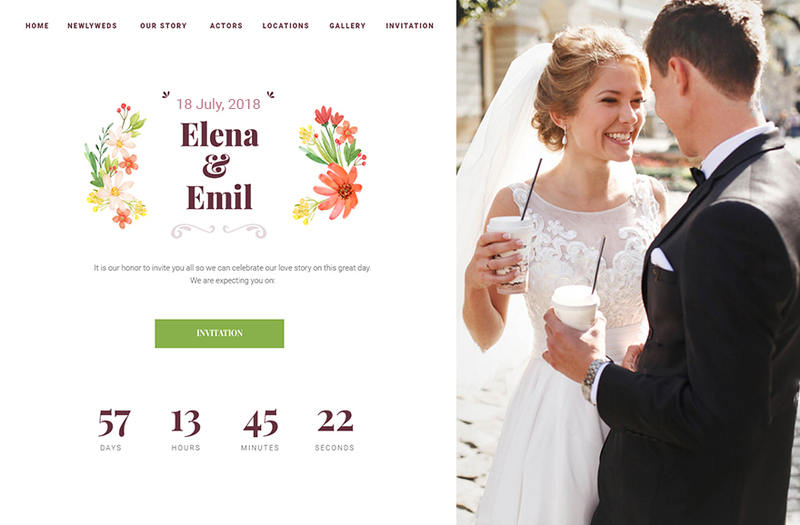 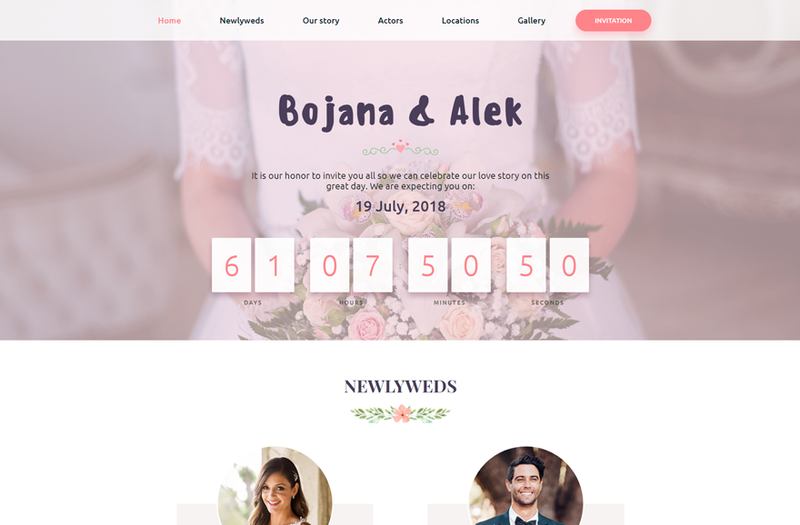 Choose the design for your own wedding website and unique e-invites, so they can describe you both the best. 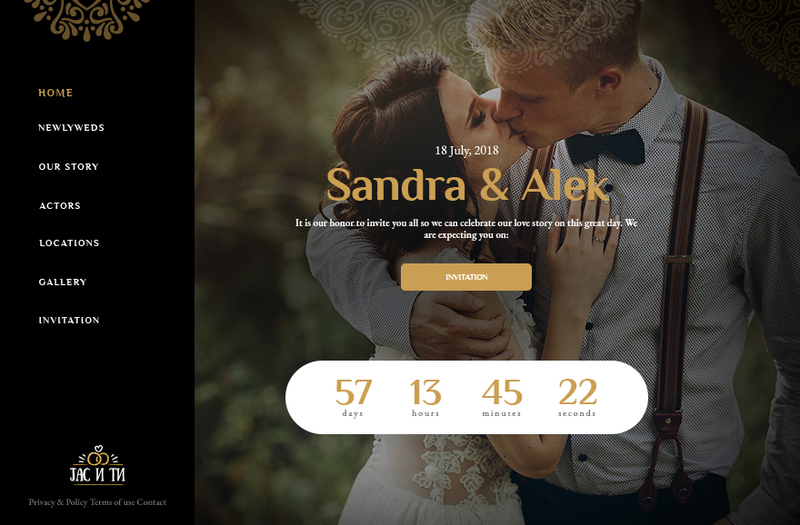 Regardless of which design you choose at start, after purchasing the package you prefer, you can switch to another design in few clicks. 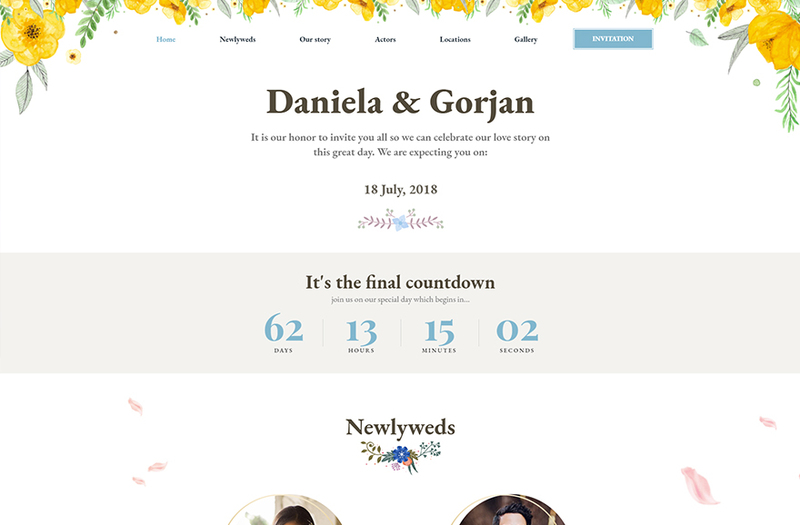 Contact us and share your wishes and ideas, and we will make sure you get exactly what you want for your big day.